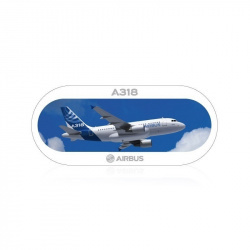 This high-quality, pull-tab sticker highlights the Airbus A318. Self-adhesive, 21 x 9 cm. More on Let's Shop Airbus"
This high-quality, pull-tab sticker highlights the Airbus A319neo. This high-quality, pull-tab sticker highlights the Airbus A320neo. 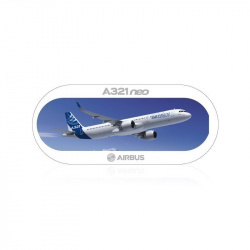 This high-quality, pull-tab sticker highlights the Airbus A321neo. 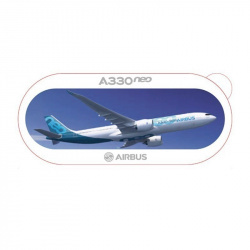 This high-quality, pull-tab sticker highlights the Airbus A330neo. This high-quality, pull-tab sticker highlights the Airbus A340 300. 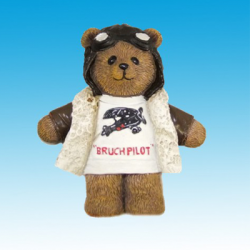 This high-quality, pull-tab sticker highlights the Airbus A340 500. 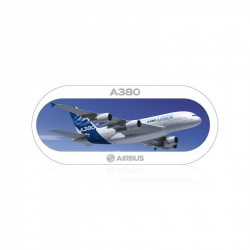 This high-quality, pull-tab sticker highlights the Airbus A380. 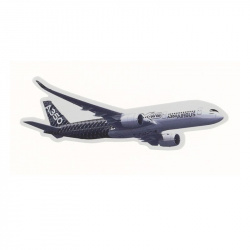 This high-quality, pull-tab sticker highlights the Airbus A300 600ST Beluga.